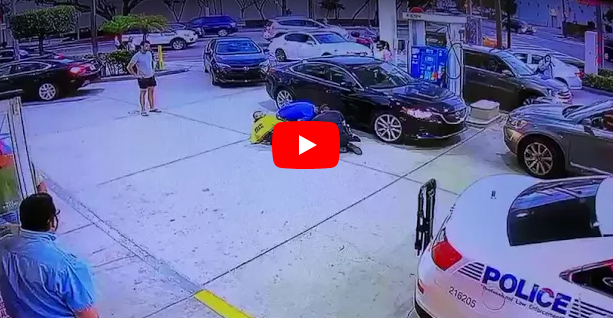 Surveillance video obtained by blogger Al Crespo shows two City of Miami Police officers repeatedly punching, choking, and tackling an apparently unarmed man after the suspect attempted to run away from a gas station. The clip begins by showing the man in question walking calmly away from a convenience store. After the man places his hands in the air and shrugs, the two MPD officers immediately grab him and press him against their squad car — but then the man tries to run. 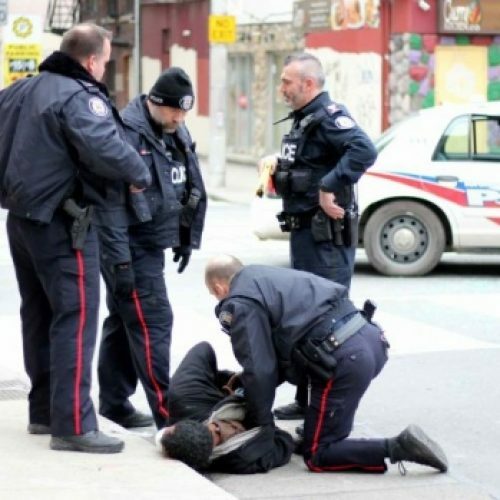 One officer immediately grabs him around the neck with both hands and yanks, while the second officer begins punching the suspect in the ribs. The three men struggle on the ground for nearly five minutes: At the 1:17 mark in the clip, the officer in the darker uniform places the suspect in a chokehold. As one cop calls for backup, a civilian store employee moves in and helps the officers press the man to the ground. So far, police have released no information about what sparked the encounter. Crespo reports that officers were there because the man was allegedly trespassing. It’s unclear when the clip was filmed, but it’s dated “2018” in the top left corner of the screen. 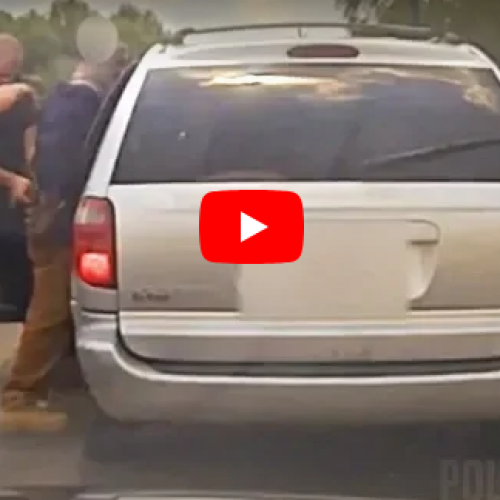 Though the suspect attempted to flee, the clip raises questions about whether the incident violated departmental use-of-force policies. This is the second video in as many months that shows MPD officers grabbing people by the neck during scuffles on the street. Police are discouraged from placing suspects in chokeholds because people can easily lose consciousness and suffer brain damage or death. A police chokehold infamously killed Staten Island’s Eric Garner in 2015, who was being questioned for selling loose cigarettes on the street. The City of Miami Police Department was also infamously forced to pay a $7.5 million settlement in 1993 after one of its officers choked a man named Antonio Edwards until he lapsed into a permanent coma. 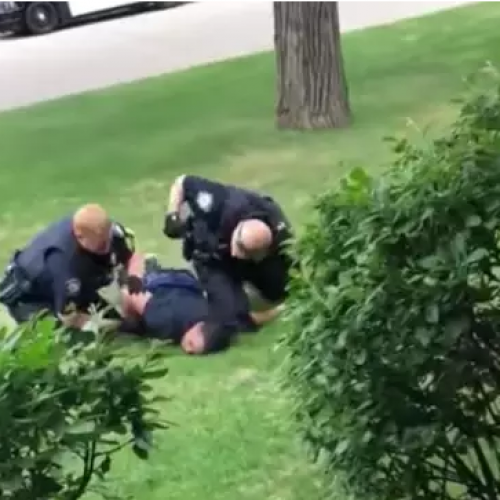 The video comes as police departments are facing yet another round of scrutiny for videos of abuse and for repeatedly killing unarmed black men.